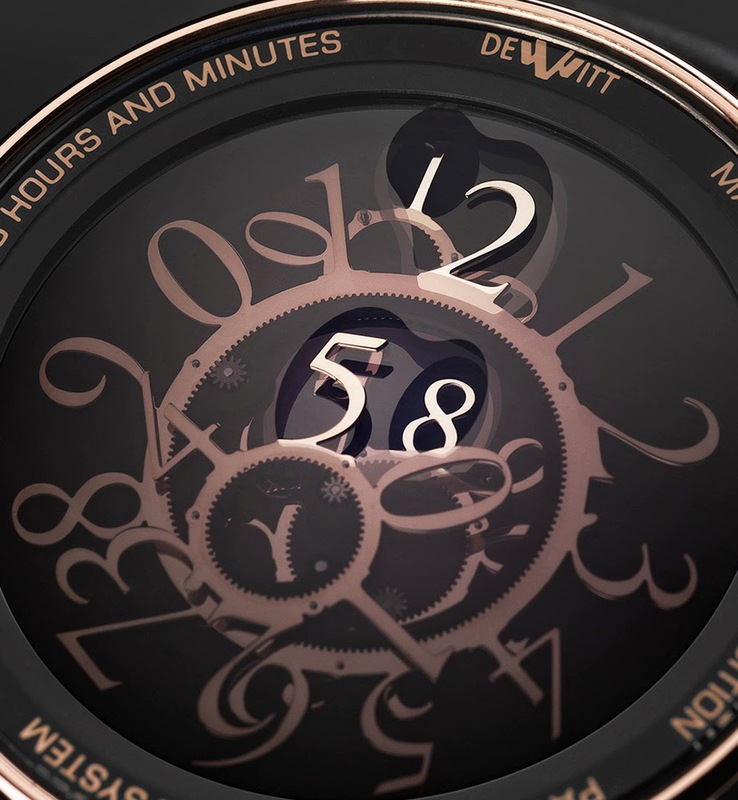 DeWitt demonstrates its inventive approach to watchmaking with the Academia Mathematical, an apparently mysterious watch without hands showcased at Baselworld 2015. 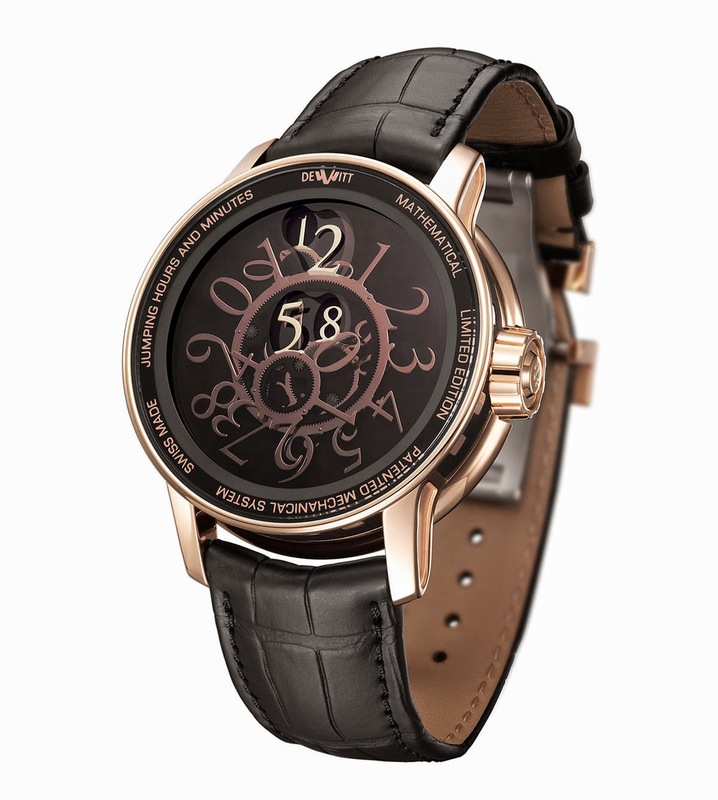 Entirely designed and hand-assembled within the Manufacture, the Academia Mathematical features a fascinating "dial" where the current hour and minute come to life from an apparently chaotic group of numbers. 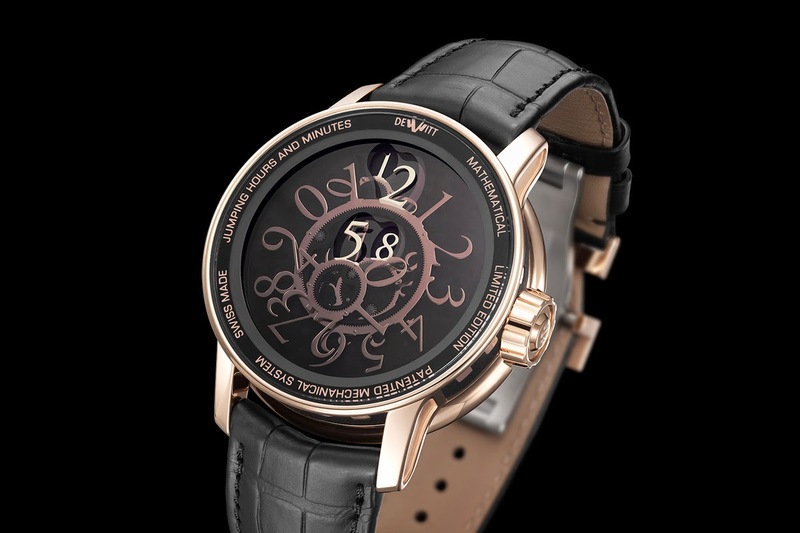 Both hours and minutes are indicated using the "jumping numbers" display principle through two vertically aligned apertures positioned in the top half of the smoked sapphire crystal. Four wheels, each with its own gilt Arabic numerals, are used to display the four-digit decimal time. Comprising 384 pieces, the movement of the Academia Mathematical is based on the new DeWitt Manufacture automatic calibre (DW0101), most of the components of which have been produced in-house, and all of which have been hand-assembled by DeWitt watchmakers. power reserve, the movement is hand finished with a circular-grained mainplate and the bridges decorated using circular and bevelled Côtes de Genève patterns. The 42.5 mm round case in rose gold is adorned,like all DeWitt watch creations, with the brand's emblematic imperial columns. The total thickness of the watch is 11.90 mm. Basel 2015: DeWitt Academia Mathematical. 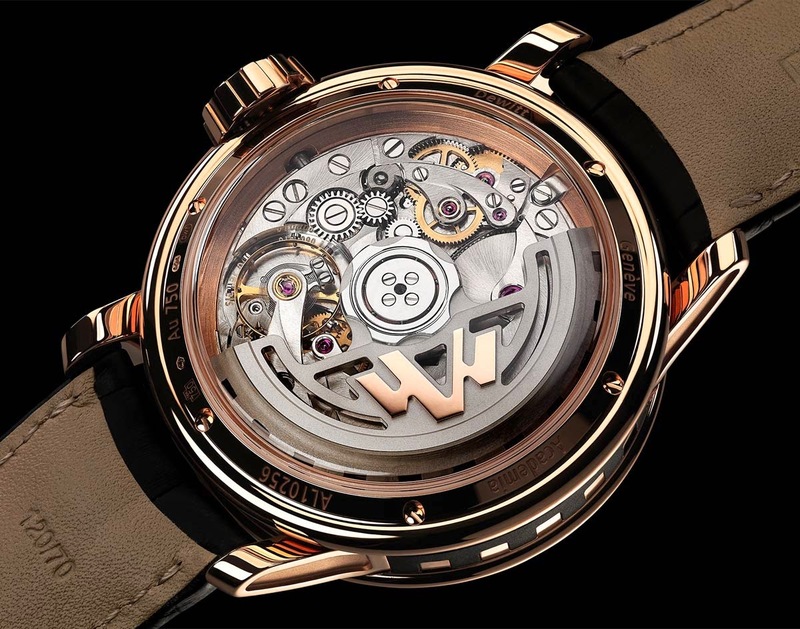 DeWitt demonstrates its inventive approach to watchmaking with the Academia Mathematical, an apparently mysterious watch without hands showcased at Baselworld 2015. 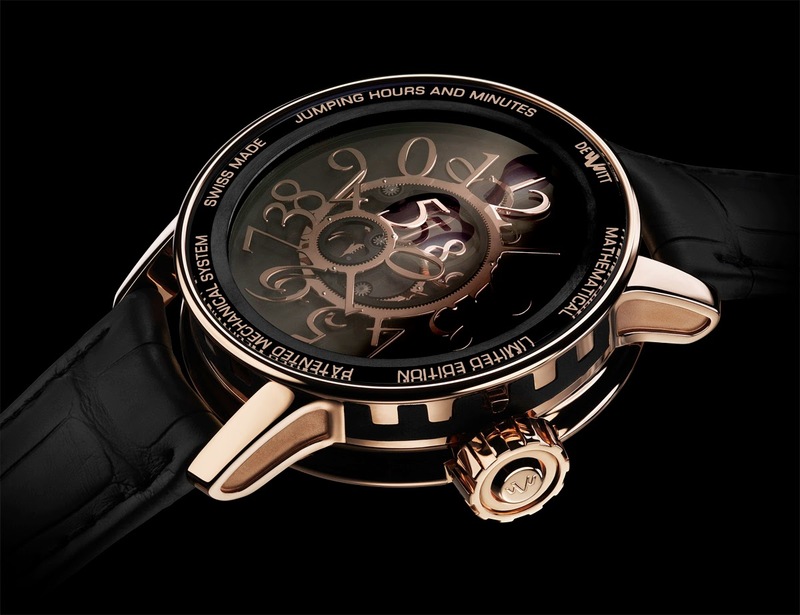 The Academia Mathematical (AC.MAT.001) is the fourth of a series of Concept Watches developed by DeWitt. 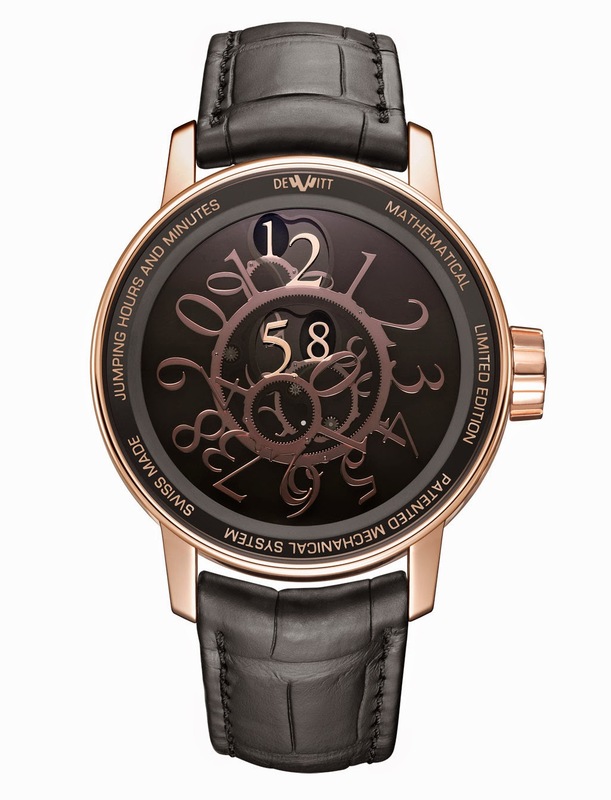 The price is Swiss Francs 188,000 without taxes.